He may live a cushy life in Beverly Hills, Calif., but Giggy hails from a coal-mining mountain region. The priceless pup was born in West Virginia and given to Lisa on her birthday in 2009. A recent spread in Us Weekly reveals he weighs three pounds and turns up his nose at typical doggie fare like kibble. 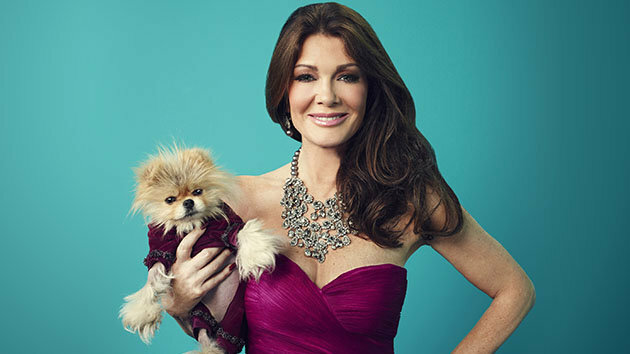 “Giggy loves toast, chicken, and veggies,” Lisa told the mag. He even eats out of china, and his meals are sometimes served on a silver tray. The Internet-savvy Pomeranian has his own Twitter account and he knows how to use it! Giggy’s followers top 67,000, and his tweets often end with his trademark “Tum Ti Tum Tum!” Giggy also has a Facebook page and his own website. And while that other famous Pomeranian, Boo, may be dubbed “The World’s Cutest Dog” and boasts nearly 7 million “likes” on Facebook, Giggy’s celebrity fame seems more legit. According to the Atlantic, Boo’s viral Facebook status is no coincidence, as his owner is a top FB employee. Plus, Boo doesn’t star in a TV show and we’ve yet to see him hit the dance floor on “DWTS” — Giggy has so been there, done that! Alec Baldwin? Check. Gerard Butler? Check. Heck, Giggy’s even been photographed with Betty White! Not only that, this canine’s clout landed him a CNN correspondent gig (along with Lisa) for the 2011 royal wedding of Prince William and Kate Middleton. And speaking of weddings, Giggy was front and center when Lisa and her husband, Ken Todd, renewed their vows last summer after 30 years of marriage. The couple took turns holding Giggy during the ceremony.